All those street nuts definitely paid off, I think I can officially class it as "research" because I took a little page out of their book and cooked them in a pan not in the oven. 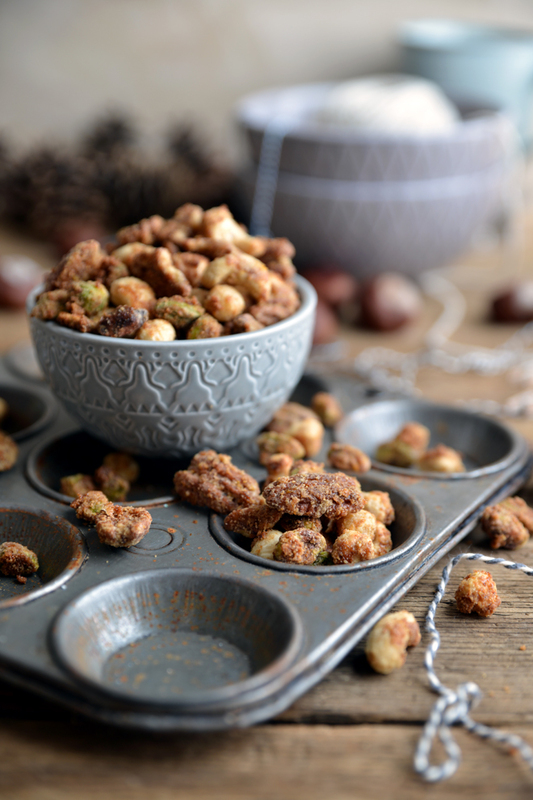 I love that I can make these in about 15 minutes; when I was researching this last year and doing my testing I found every recipe said to bake your nuts in the oven and it seems to take forever like that. 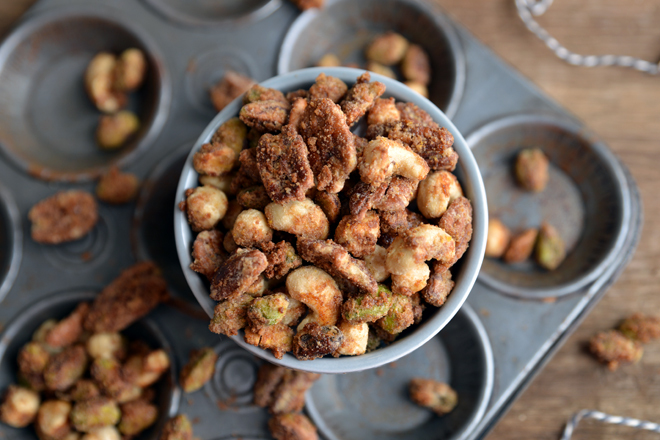 I'm always a little worried I'm going to burn my nuts if I put them in the oven, at least if you cook them on the hob you’re more in control of your nut destiny. I'm not sure why but I was under the impression these were going to be a bit of a pain in the bum to make, boy was I wrong! Cliff notes version; you whisk an egg white till frothy add your nuts and flavoured sugar and you're ready to cook them, ridiculously easy right? 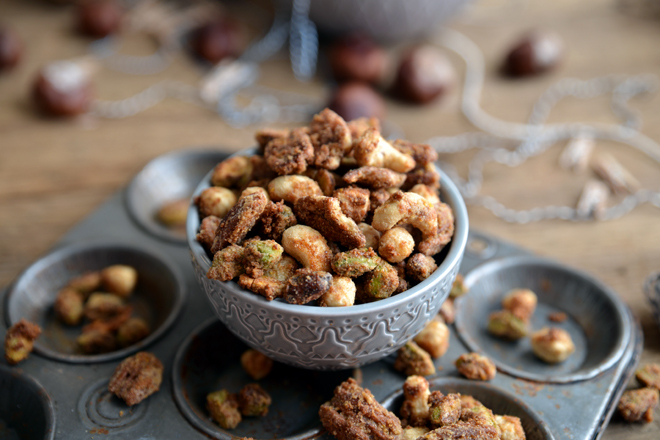 I guarantee you're going to want a a dish or jar full of these lying around the house to snack on because well, they're nuts...obviously they're healthy, they also last ages and they make you feel a little festive too. Now you have no excuse not to pass this recipe up! Mix the sugar, ginger and orange zest together in a bowl and set aside. Whisk the egg white with a splash of water until frothy but not stiff. Add in the nuts and mix to coat, then add in the ginger sugar and stir until everything is evenly coated. Heat a frying pan on a low heat with a little oil and butter and add the mixture to the pan. Stir the nuts occasionally until the mixture becomes less wet. 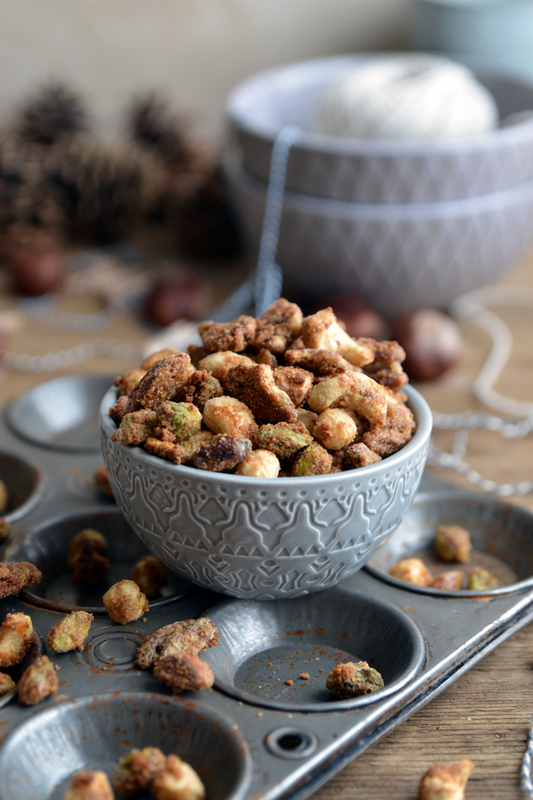 Start stirring constantly as the nuts harden until they are crunchy and fragrant making sure not to burn them. Pour on a plate and leave to cool, they will become crunchier as they return to room temperature.